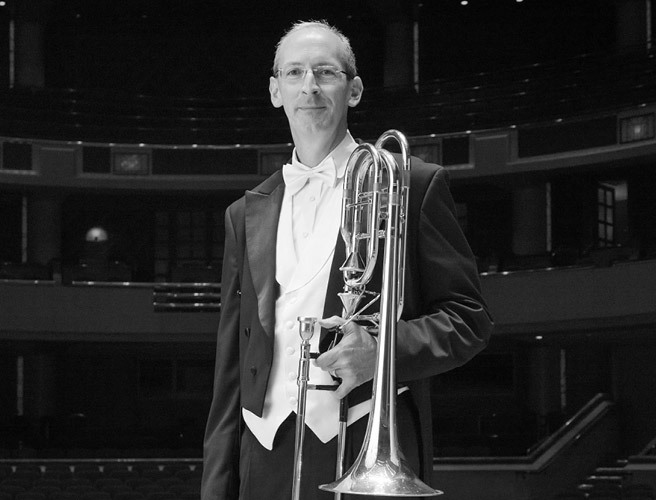 Darren McHenry joined the Dallas Symphony Orchestra in 1995 and holds the bass trombone position. He grew up in Atlanta, Georgia, where he began his musical training under the guidance of Mr. William Hill. After completing high school, Mr. McHenry attended Southern Methodist University to study with Mr. John Kitzman. He earned his Bachelor s degree from SMU in 1992. In 1994, he received his Master s degree from the Juilliard School as a student of Mr. Don Harwood. During that same year, he was the winner of the Lewis Van Haney Philharmonic Prize and the winner of the Donald Yaxley Memorial Scholarship. Mr. McHenry has performed with the New York Philharmonic, the Atlanta Symphony Orchestra, and the Chattanooga Symphony before joining the Dallas Symphony Orchestra. In 1999, he was appointed to the faculty at the University of Texas at Arlington as interim professor of trombone for the year. Beginning in the summer of 2003, he now plays with the Sun Valley Summer Symphony in Sun Valley, ID.